This isn’t some far-off scenario. It could play out within months. Apple is introducing facial ID capabilities with its iPhone X, due to ship next month. Apple will use facial data both to unlock your phone and to power cute ‘animojis’ — animated emoji faces that whose movements track to your own facial movements. While Apple has asserted that your face data will stay on your phone not in the cloud, terms of service can change. And Apple isn’t the only player in our selfie-obsessed society looking to leverage our facial data. Brands have been playing with face-changing games for ages — games that capture your facial data and use it to generate some kind of fun image or illusion. Any time your facial data is stored, there’s a possibility for resale and reapplication powered by machine learning through AI. 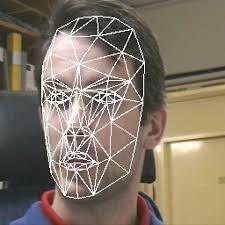 So, what are some of the ramifications of giving up your face data? Facebook alone has 1.2 billion faces scanned, stored and recognized, according to the Economist. Facebook users get the convenience of auto-tagging and in return, our faces are used as one more data element in Facebook’s revenue toolbox. In this situation and others, rarely, if ever, do we read terms and conditions. Animojis could just be the next execution, after selfies and beauty filters, using our boundless narcissism to create more precise marketing, tighter security or truly scary situations, like the very real possibility of discrimination. What if all digital out-of-home signage used hi-def cameras to retarget people in the street? Mass numbers of faces could be recognized from camera-equipped billboards and a median set of products identified would cycle through the billboard. 30 percent shopping for a new SUV, 15 percent for winter boots, 1 percent for toe fungus cream, and so on. Every billboard you pass switches from light beer to ULED TV. What if it’s raining and the camera can’t see? Simple: Switch to an ad for umbrellas and basement waterproofing. Love it or hate it, this tech isn’t going backwards. Should brands leave these tools on the table? Of course not, but they need to use them responsibly and maintain a certain degree of trust with the consumer. The number one pillar of building meaningful customer experiences is trust. It can take eons to build and seconds to blow. 1. Have a reason. Does facial recognition answer an actual strategy? A need? If you’re asking users for it, have a reason. 2. Benefit the end user. If it is only a benefit for your brand and not for your user, don’t bother. 3. Keep your word. Whether you’re storing the data or directly stating you won’t, keep your word and keep trust. 4. Be secure. If you’re storing the data — for healthcare, fintech, site security, etc. — apply the intense rigor to face data security you would to other sensitive data and invest in security. Also, be transparent about that investment. You don’t want a lawsuit on your hands. If you delight your customers with fun and useful experiences, they’ll reward you with loyalty and revenue. You can’t simply ignore a tool like facial data — it’s too late for that. But be transparent. Be trustworthy.